Civil Litigation Attorney serving Richmond, Virginia and the surrounding area. Are you facing a civil suit? What can our firm do for you? During our initial meeting, we can determine whether our office can assist you with your civil litigation matter or not. We understand that your time is valuable. If we are not familiar with your type of case, we will let you know as quickly as possible. If you decide to hire our office, you can be assured that we will do our best to answer any questions you have about your case status and the applicable law. Every client has different objectives when it comes to litigation. Some simply want their voice to be heard. 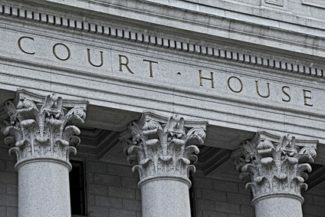 While we are not scared of litigation, we will certainly explore other ways of settling your dispute outside of court if this is something you want. While many civil cases do settle out of court, this isn’t always guaranteed. There are times when the parties are just so locked into their position that they want their “day in court”. We certainly don’t want to waste your time (and money) going back and forth with the opposing party if we aren’t getting anywhere. Parties that try to proceed with their case without representation often have difficulties. Remember, the court in your civil suit is often going to hold you to the same Rules of Evidence and Civil Procedure as an attorney. You could find yourself with a negative decision against you simply because you did not follow specific procedures. In addition, there can even be highly detrimental pitfalls associated with trying to settle your case alone.